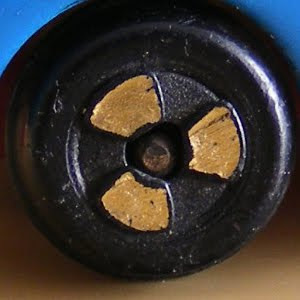 I have a bad news to everybody. 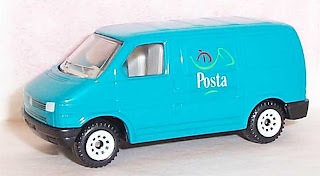 This post was the last bigger one that finalise the Hungarian diecasts series story. 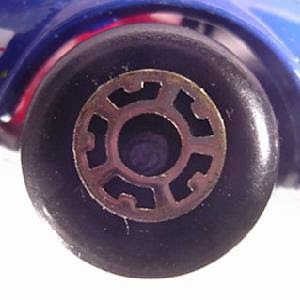 This post should be very important to the collectors because lot of times the only the wheel type refer the diecast age or help to identify the correct manufacturer as well. 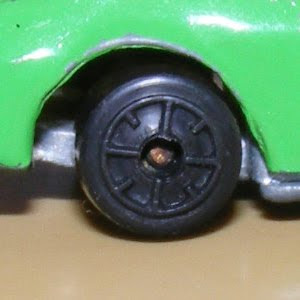 These cars made by a many different firm, but sometimes their wheels was the same style because it bought from the same suppliers. 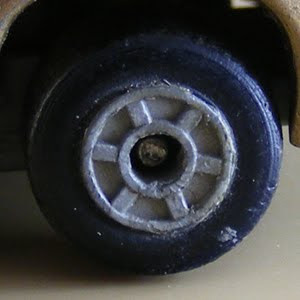 That is one of the main reason why is very difficult to identify these models manufacturers nowadays. 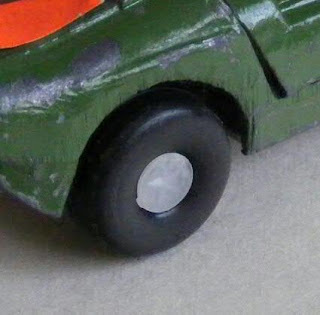 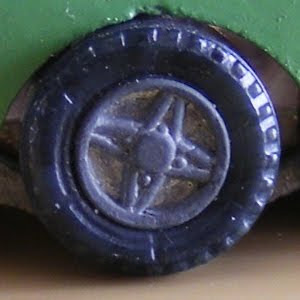 The Hungarian Matchbox has a normal MB style wheels except the MB-53-C CJ6-os Jeep. 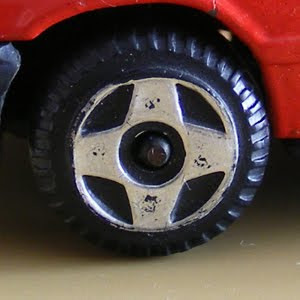 The Jeep has a four type different wheel because after the official production is ended the remaining part was a good base of some "illegal" firm to make their products that almost look like as the original MB ones. 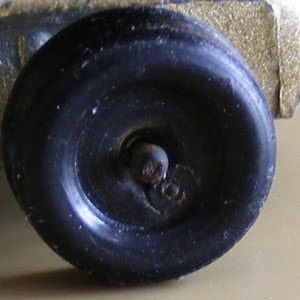 These firms are used at least four different wheel types. 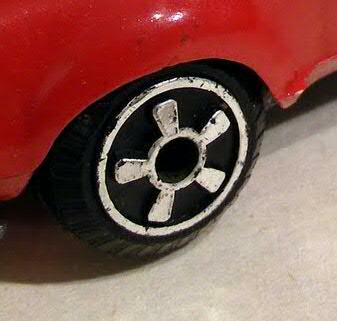 The only one official type was a five spoke chromed wheel. 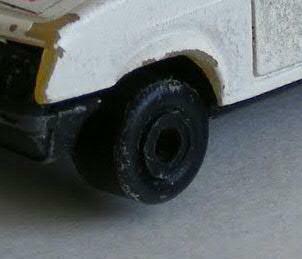 In this case a lot of collector doesn't accept the other wheels Jeep as true Matchbox. 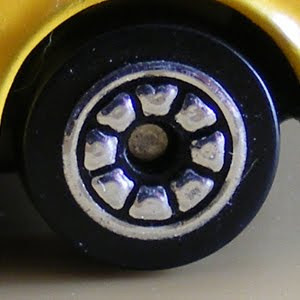 The Corgi used for their diecasts a regular five double-spoked wheels but the Hungarian made Corgis has a different type teardrop shapes eight or four division spoked wheels. 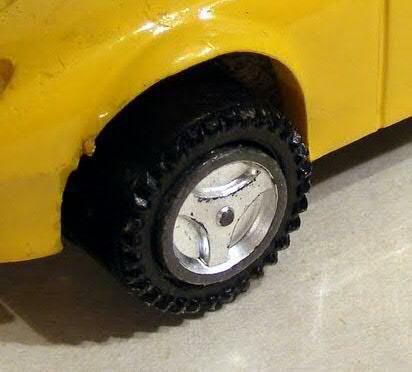 The Siku generaly use a multiple spoked white marked wheels with Siku typo. 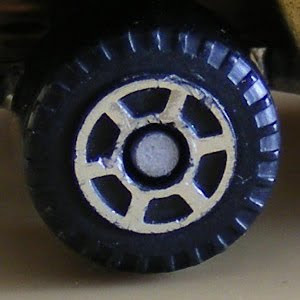 This wheels type was in use generally about 90% of their models. 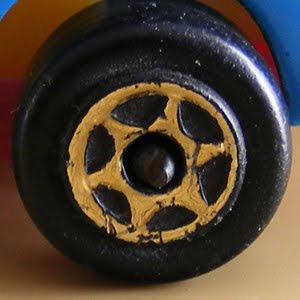 The Hungarian Sikus use the same wheels as the German ones. 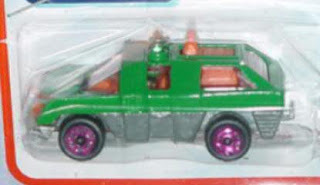 No any major difference known. 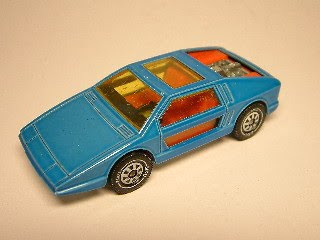 The Metchy cars was a direct copy of the Matchbox and Majorette cars as you know. 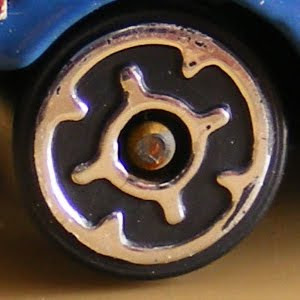 In this case their wheels must be the same as Matchbox and Majorette ones. 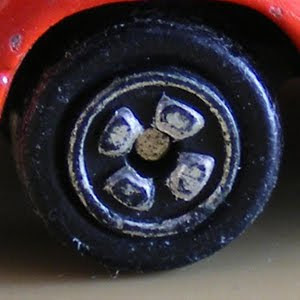 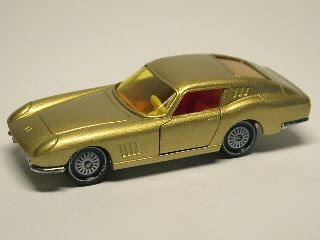 It's true about the Majorette copies but the Matchbox Porsche had a 6 spoked wheels against the original 5 spoked MB type wheel. The Metalcar do their own way. 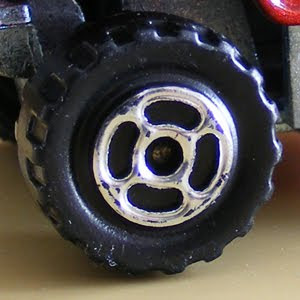 All of Metalcar model has an own style wheel design that help us to identify these products as well. 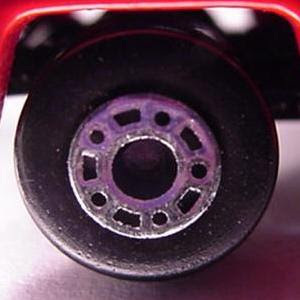 Only the Hondarora and all Superkings copy use an original style wheels, typres. 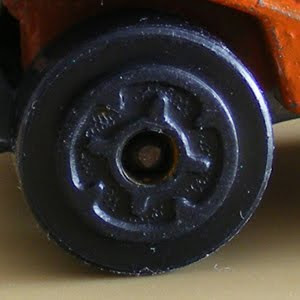 All early Metalbox car use a two-piece wheel. 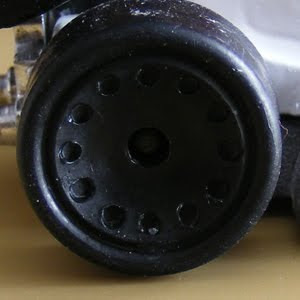 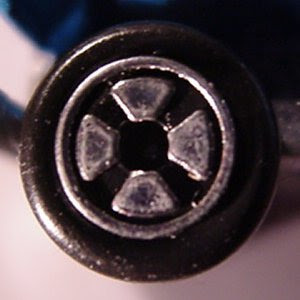 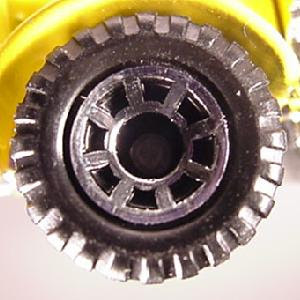 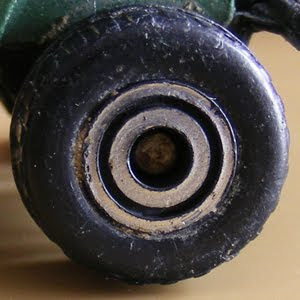 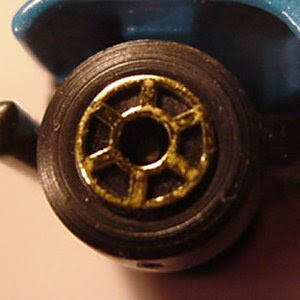 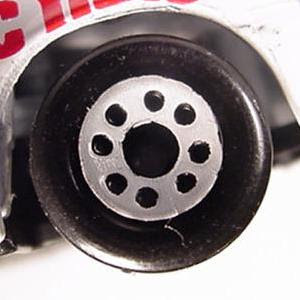 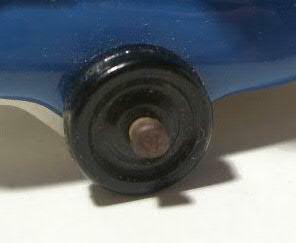 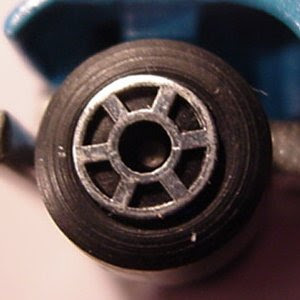 The inner hub was made by pot-metal, and the wheel was regular black plastic. 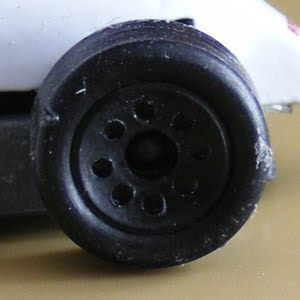 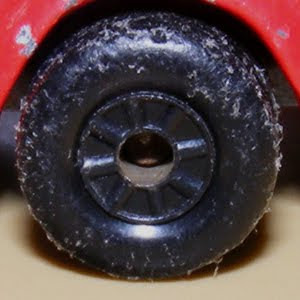 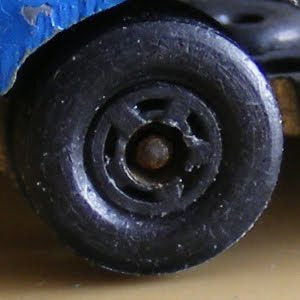 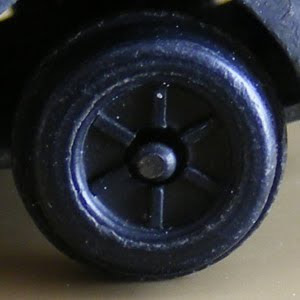 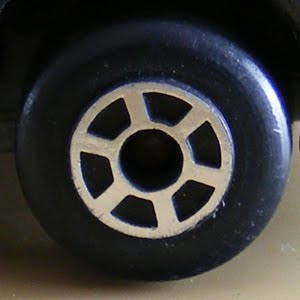 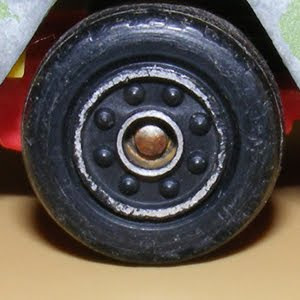 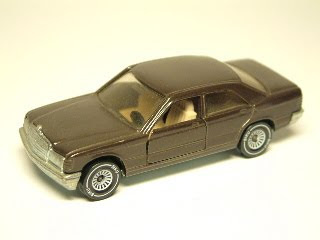 Later on the Metalbox changed their wheels to the cheaper and simple "Matchbox stlye" wheels as well. 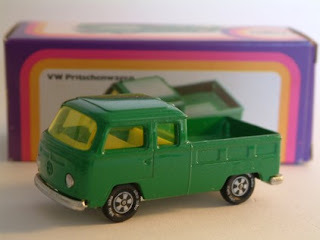 This post the last bigger post about Hungarian diecast copies. I try to update all of my post and keep it up to date. 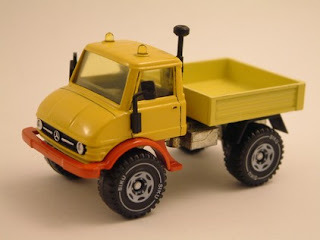 I hope you're enjoy these posts and it help everybody to recognise and identify these Hungarian made diecasts - forgotten goods as well.